For any business, entering awards requires time and energy, but the investment can bring many benefits. Boost your profile: Winning or being short listed for a business award gives you the opportunity to share your success with the local press, boost your standing in the local business community, and increase your brand awareness. If you have a website or blog, make sure you publicise your achievement, and share it across social media platforms such as LinkedIn and Twitter. Win new business: Business awards are a great way to drive home the fact that you are the best, or one of the best, in your field, differentiating your company from competitors, cementing your reputation as a trusted authority in your field and attracting new customers. External benchmarking: The application process for entering a business award can often force you to fully appraise your business and compare yourself to your competitors, challenging you to identify strengths and weaknesses, and encouraging you to find new and innovative ways to be the best. Expert feedback: It is often possible to receive feedback on your award application, meaning you benefit from an independent assessment of your company from knowledgeable business experts. Some awards use employee feedback as part of the application process, which you can later use to identify areas needing improvement, ensuring staff satisfaction. 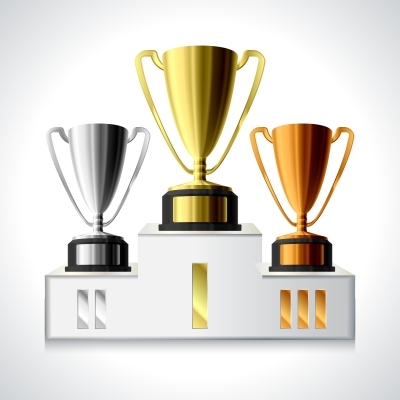 Employee motivation: Achieving recognition in business awards can have a positive effect on staff morale, motivation and retention. Employees enjoy working for successful companies and winning or being shortlisted for an award to have this officially recognised can really motivate your team and give them a boost. Networking: Award ceremonies give you the opportunity to build contacts, meet and network with other business leaders and professionals, and build an all-important network of contacts within a forum for business development and best practice knowledge exchange. Attract talent: Business awards validate your hiring stature among new recruits. By pitching yourself as the best, you can attract the talent you need to push your business forward. There are a huge variety of awards around from local to national, industry based or with specific criteria such as best employer. Whether you win or are shortlisted, make sure you update your corporate literature with the award logo, including business cards, newsletters, website, email and sales material, so that customers and potential customers are aware of what you have achieved. Previous Previous post: Are You Feeling Guilty?